The NHLPA and the NHL announced the appointment of Todd McLellan as Team North America’s head coach for the 2016 World Cup of Hockey. TORONTO/NEW YORK (Oct. 16, 2015) – The National Hockey League Players’ Association (NHLPA) and the National Hockey League (NHL®) announced today the appointment of Todd McLellan as Team North America’s head coach for the 2016 World Cup of Hockey. In addition, Adam Graves has been appointed as Special Assistant to the General Managers of Team North America; Pat Verbeek and Paul Fenton were both named as a Director of Player Personnel; and Ryan Jankowski was named as Director of Operations. McLellan, Graves, Verbeek, Fenton and Jankowski will report to Team North America General Manager Peter Chiarelli and Associate General Manager Stan Bowman. McLellan, who is in his first season as head coach of the Edmonton Oilers, was the head coach of Team Canada at the 2015 World Hockey Championship, leading Canada to its first gold medal since 2007 with an undefeated record of 10-0. The Melville, Sask., native spent the past seven seasons as head coach of the San Jose Sharks, posting a record of 311-163-66 in 540 games. McLellan led the Sharks to six playoff appearances, four seasons of 40-plus wins, three 100-point seasons and three Pacific Division titles. In 2009, McLellan led the Sharks to the Presidents’ Trophy and was a finalist for the Jack Adams Award. Graves has served a dual role for the New York Rangers since 2005, using his abilities both on and off the ice in the Hockey and Business Operations areas of the organization. The Toronto, Ont., native is a two-time Stanley Cup Champion. Originally drafted by the Detroit Red Wings in 1986, during his 16-year NHL career the left winger played in 1,152 career games with the Red Wings, Oilers, Rangers and Sharks, registering 329 goals and 616 points. At the international level, Graves won gold for Team Canada at the 1988 World Junior Championship and represented his country at the World Championship in 1993 and 1999. Verbeek is in his sixth season with the Tampa Bay Lightning and fifth as Assistant General Manager and Director of Player Personnel, where he oversees all of the team’s professional scouting operations, aids in player procurement and reports directly to the general manager. The Sarnia, Ont., native served on the management team for Hockey Canada at the 2015 World Championship, which earned the gold medal. Verbeek played for five different teams during a 20-year NHL career, appearing in 1,424 games with the New Jersey Devils, Hartford Whalers, Rangers, Dallas Stars and Red Wings, compiling 522 goals and 1,063 points and winning the Stanley Cup with Dallas in 1999. Verbeek represented Canada at the 1983 World Junior Championship, the World Championship in 1989 and 1994, and the 1996 World Cup of Hockey. Fenton is in his 18th season with the Nashville Predators, and his 10th as the club’s Assistant General Manager. He oversees the Predators’ amateur player development, manages the team’s professional and amateur scouting staff, and advises on player personnel decisions. The Springfield, Mass., native served as Associate General Manager for Team USA at the 2011 World Championship and played on Team USA at the World Championship in 1985 and 1989. He joined the Predators after spending five seasons in the Anaheim Ducks’ Hockey Operations department. The former Boston University forward played eight seasons in the NHL, scoring 100 goals and 83 assists in 411 NHL contests while playing for the Whalers, Rangers, Los Angeles Kings, Winnipeg Jets, Toronto Maple Leafs, Calgary Flames and Sharks. Jankowski is Hockey Canada’s Director of Player Personnel and is responsible for player evaluations and selections for all of Canada’s National Junior Teams, including the defending World Junior Champions. The Calgary, Alta., native joined Hockey Canada in 2013 after serving as a scout for the Montreal Canadiens for three years and as Head European Scout and Assistant General Manager of the New York Islanders for seven years. The World Cup of Hockey returns in September 2016 in Toronto, where eight teams, comprised of the world’s best hockey players, will compete for a best-on-best international hockey championship. In addition to Team North America, which will be made up of the top players from Canada and the United States who are 23 or under as of Oct. 1, 2016, the teams participating will include Canada, the Czech Republic, Finland, Russia, Sweden, Team Europe and the United States. The World Cup of Hockey is a joint effort of the NHLPA and the NHL, in cooperation with the International Ice Hockey Federation (IIHF). It is expected that more than 150 of the best players in the NHL will participate in this tournament. The eight teams are split into two Groups, Group A and Group B, for the Preliminary Round (Sept. 17-22), when each team will play its three Group opponents in a round-robin format. Placed in Group A are Team Canada, Team Czech Republic and Team USA, plus Team Europe. The four teams in Group B are Team Finland, Team Russia, Team Sweden and Team North America. The top two finishers in Group A and Group B will advance to the Semifinals (Sept. 24-25), where the first-place team from each Group will face an elimination game against the second-place team from the other Group. The two Semifinal winners will meet in the Final, a best-of-three series on Sept. 27, Sept. 29 and, if necessary, Oct. 1. Live coverage of all tournament games will be provided by Sportsnet and TVA Sports in Canada and ESPN in the United States. A complete broadcast schedule will be announced at a later date. 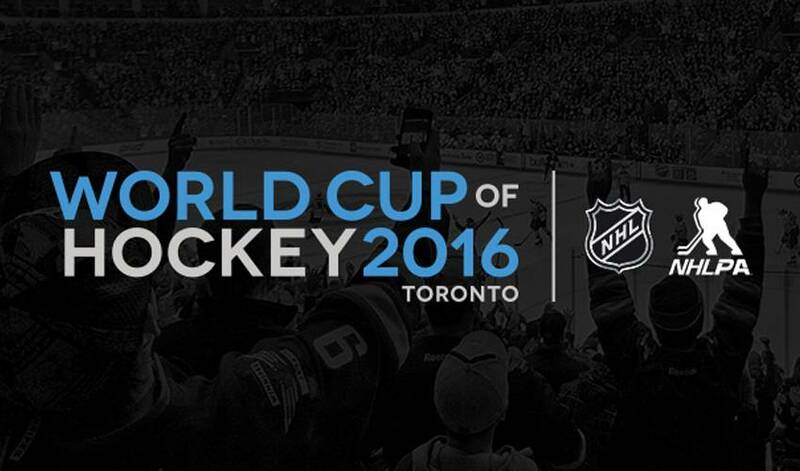 For more information on the 2016 World Cup of Hockey, including team management updates, visit www.wch2016.com.